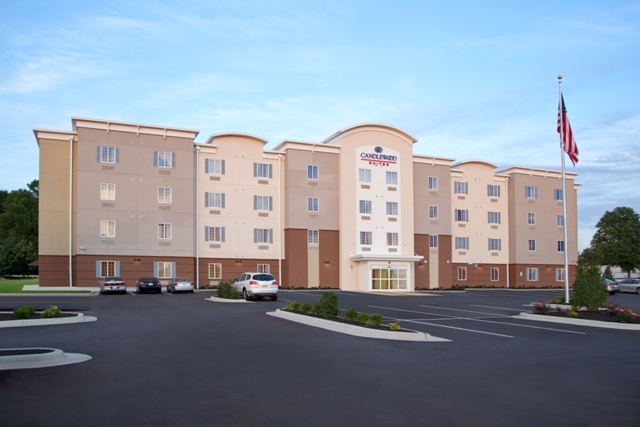 Conveniently located near the junction of Interstate 70 and Highway 63 close to Bass Pro Shops, Women’s and Children’s University Hospital and more gives the Candlewood Suites a perfect location to get to any business, attraction or event held in Columbia. 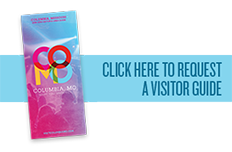 While lodging in our Columbia, Missouri hotel’s suites, you can surf the free high-speed Internet access, catch a movie through Direct TV or record your favorite show on the DVR while enjoying it all on our 42-inch flat screen TV’s. Cook meals in a fully equipped kitchen and you can purchase food at the Candlewood Cupboard or bring your own. It’s all up to you. 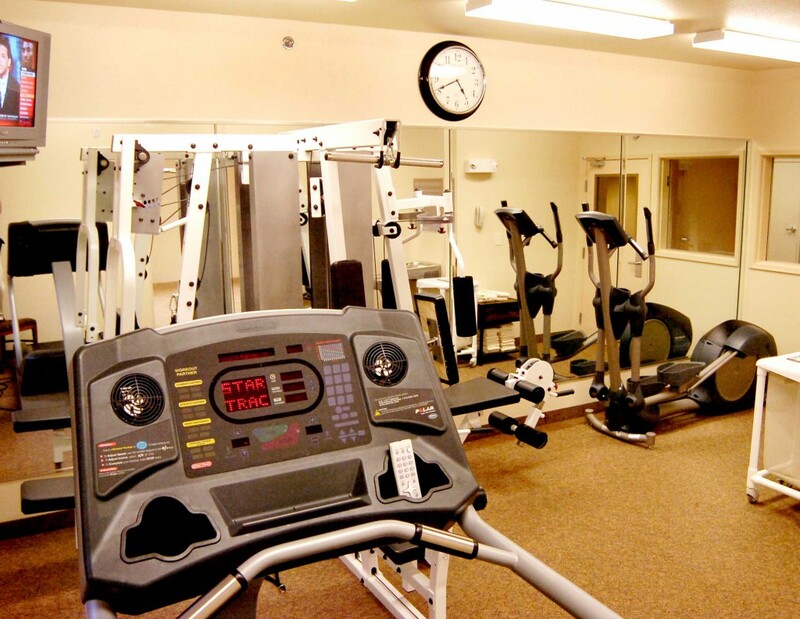 When you choose Candlewood Suites® hotels for your extended stay, you’ll see how hard we work to make you feel more at home. Our signature hotel amenities allow you to live, work, and relax in much the same way you would in your own home without feeling like you’re in a hotel. The warm welcome and comfortable accommodations are just two of the ways we will make you feel like part of our family. It’s often difficult to get a good night’s sleep when you’re not in your own bed. That’s why at Candlewood Suites hotels, we offer the Comforts of Home Bedding Collection in every suite to help your temporary bed feel more like your own. With plush mattresses, sateen sheets and three types of pillows, you’re sure to sleep comfortably and soundly, waking up rested and ready to start your day. Eating out every meal can get old fast. 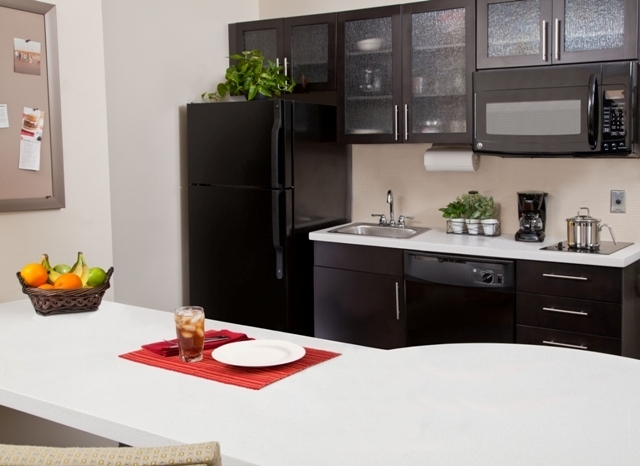 At Candlewood Suites hotels, our in-suite kitchens feature a full-size refrigerator/freezer, cook-top, microwave, dishwasher, pots, pans, dishes, and yes, even the kitchen sink. So whether you’re in the mood to microwave a quick snack or whip up an elaborate dinner, everything you need is close at hand. 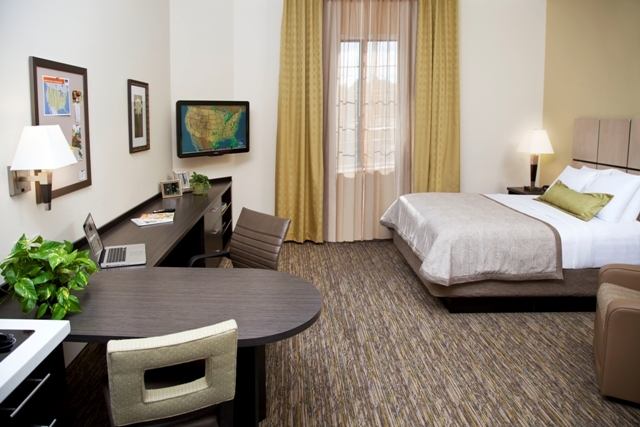 Your suite’s large workspace provides lots of elbow room to spread out those spreadsheets. There is also a comfortable desk chair with overhead lighting positioned to provide just the right illumination. With the coffee maker nearby, you can brew up a pot and be good to go whenever you need to catch up on office work. Sometimes you have to use your suite as a temporary office, as well as a home. That’s why we provide hotel suite amenities, such as free local telephone calls and high-speed wireless internet with print on services (a service that links your computer to the business center printer so you can print your documents just by entering a special code). Absolutely free. With the Candlewood Cupboard® only steps away, you can pick-up a variety of food, beverages, and even toiletry items whenever you want. Our honor payment system means you don’t have to dig for change. You simply fill out a purchase slip and drop it in the payment slot. Sometimes food just tastes better on the grill. And when you have a craving for a juicy burger, steak, or even grilled veggies, you can just fire up the gas grill at the Candlewood Gazebo Grill. There’s even an outdoor dining area for eating under the stars. Our Guest Laundry, available 24 hours daily, provides washers and dryers to make taking care of life’s necessities a little easier. The best part about it is, you don’t need quarters because it’s free. Detergent and other laundry supplies are available for a nominal cost in our Candlewood Cupboard or bring your own. Make popcorn and enjoy a cold drink. Settle into your cozy recliner and catch up on a movie in your suite. Each hotel suite features Direct TV with DVR so you can record your favorite shows whenever a little R&R is in order.